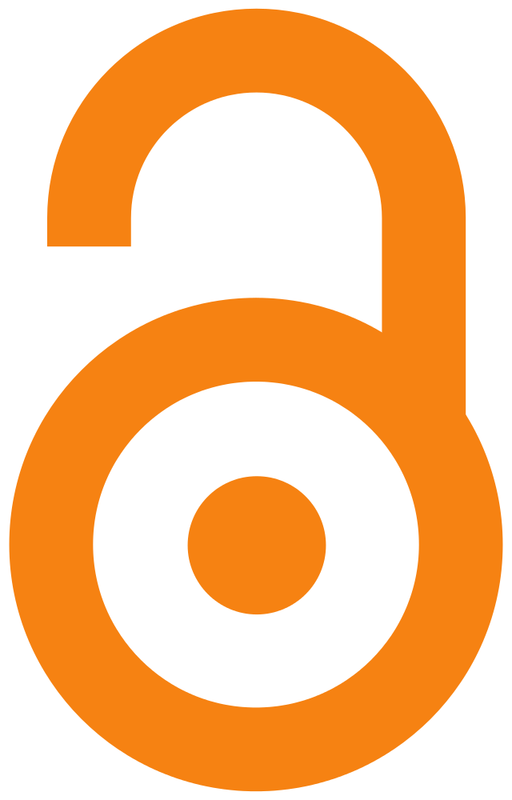 Many words have been spilt over the relative merits of green and gold open access (OA). It is not my plan to rehearse these again right now. Rather, I want to explore four aspects of green OA. First, I want to discuss how many of the documents indexed in “open” repositories are in fact freely available, rather than on “dark deposit” or otherwise inaccessible. Second, I want to look at the so-called eprint request Button, a tool developed to allow readers to obtain copies of items held on dark deposit in repositories. Third, I want to look at some aspects of OA polices and the likely success of so-called IDOA policies. Finally I want to speculate on possible futures for institutional repositories. However, I am splitting the text into two. The first two topics are covered in the attached pdf file; the second two will be covered in a follow-up piece I plan to publish at a later date. To read the first part (a 16-page pdf) please click the link here. RE- " eprint request Button" this is an Eprint platform-specific description It's called "Request a Copy button" on DSpace, Fedora Commons, other non-eprints platforms. Thank you for the clarification Barry. Having worked very hard in the last year to convince researchers in my university to deposit their papers, I can attest that the availability of the Button is of utmost importance to defuse one of the more commonly objections stated by researchers who don’t use the repository: fear of copyright infringement. I seem to never cease to repeat: "deposit in all cases and, in case of doubt, choose dark access". When they do so, depositors are invited to ask the copyright office of the university (by clicking a single link) to verify for them if open access is allowed, perhaps after an embargo, or by using a different version of the paper or asking the editor a permission, usually allowed on request. The important thing here is: that makes these researchers start depositing, in dark an open access as well. Now to lawyers thinking “it is unlawful”. One has to realize that all a lawyer can say in copyright matters, except for a small number of cases where a higher court decision undoubtedly applies, is that something is “probably” (or not) covered by the fair dealing (or fair use) exception. Although there are excellent reasons, based upon previous rulings, to believe that its use is legal, no one really knows how a judge, or a Supreme Court, would rule in a case involving the Button. And perhaps we will never know. The actual decision to “take the risk” is up to the manager of the repository, or whoever takes these decisions. As someone said (unfortunately, I didn’t find the actual text, so I can’t attribute it): when a university has its floors cleaned, there’s a risk that, even with all precautions taken, someone will fall and sue. But universities don’t stop cleaning their floors. Why are some of them so risk-adverse when it concerns copyright? Fortunately, I’m not aware on many instances of universities forbidding the implementation of the Button. Disclosure. I’m one of the authors (along Harnad and Rodrigues) of the book chapter, cited in the text, which links the use of the Button to fair dealing provisions in UK-inspired jurisdictions (Canada, notably). 1. I agree with Stevan - CRIS complement IRs and are not competitors. 2. You mention assessment and ERA in particular. I have no experience of this assessment model but I can say that since the introduction of the post-2014 REF OA policy by HEFCE, the amount of full-text we have in our CRIS-IR and the engagement we now have witb researchers has sky-rocketed. I auspect this is repeated throughout the UK. So assessment ... yes is a stick but it has also proved to be a game changer in the UK... and we should give enormous credit to HEFCE for introducing the policy and not bowing to pressure from some to retreat from deposit on acceptance. Can you say what percentage growth in full-text research papers you have seen in the St Andrews CRIS-IR, the current number of full-text documents in the repository, what percentage of the total that represents (i.e. how many of the records contain metadata only) and can you say what percentage of the institution's annual output those full-text documents represent? Also, can you confirm that all these full-text papers are freely available for anyone on the internet to download today? The paragraph where you refer my previous interview, "In passing, we could note that Rodrigues reported to me that the percentage of full-text content freely available in the UMinho repository is higher than most, at 79%. By contrast, the PASTEUR4OA study mentioned earlier indicates that only 39%9 of recent papers in RepositoriUM are open access, with 23% on dark deposit (and 37% not deposited at all). ", is not rigorous and accurate. As you can easily verify your question was "Of these ["scholarly items are currently deposited in the University of Minho’s institutional repository" as asked on the previous question], how many are full text and freely available to the public", so my reply was about the percentage of the deposited documents, and not the total research output of the university. In consequence the following paragraph, with a possible explanation has also limited validity. As I understand it, you are saying that I was not comparing like with like. That is, the figure you gave me was for the percentage of the documents in the University of Minho repository that are available as OA full text, whereas PASTEUR4OA estimated the percentage of University of Minho papers published in Web of Knowledge-indexed journals in 2011-2013 that were available in RepositoriUM as OA full-text documents. I can see what you are saying, but the problem here is that we have such a dearth of data that rigour and accuracy is somewhat difficult to achieve. For instance, you say (or at least imply) above that PASTEUR4OA looked at “the total research output of the university”. That would suggest that all the research produced by the University of Minho between 2011-2013 was published in journals indexed in the Web of Knowledge would it not? Is that what you are saying? It seems unlikely to me. Actually, I suspect that no one knows exactly what research University of Minho faculty produce/publish each year, and so the University’s total research output is an unknown. Or perhaps you do know? If so, how do you find out? I was trying to make three points in the text you cite. First, that open repositories contain a higher degree of content that is dark, or otherwise inaccessible, than one might expect. Second, that other types of scholarly content are generally more open in repositories than research papers are. Third, that older works — which are invariably less useful — are likely to predominate in repositories, and so the deposit figures publicised by repository managers are likely to be an overestimate so far as relevance and timeliness are concerned. Moreover, a greater proportion of recent research is likely to be on dark deposit than will be the case with older research. 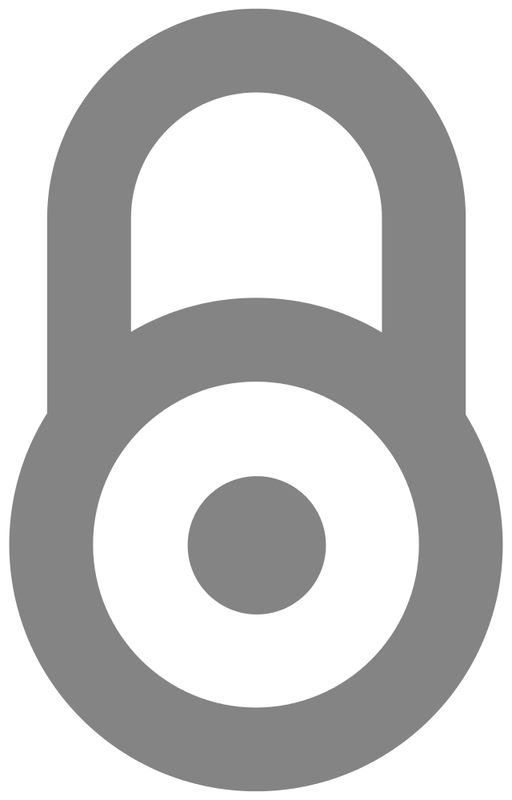 So here is my question to you: do you disagree with me that a greater proportion of full-text OA content in repositories is likely to be older material rather than recent research, and that a greater proportion of new research will be on dark deposit than will be older research? If not, can you cite some data to show that I am wrong? None of this is what is important. The only thing that is important is (1) that all institutions and funders adopt effective mandates that ensure that all current articles are being deposited immediately upon acceptance and (2) the Button is (correctly) implemented. Not sure why you are asking that question, Richard. Counting total number of generic deposits (rather than the ratio of article deposits to total yearly article output) is numerology; counting author compliance with Button requests is not much better (compared to what?). The article you link above was testing the correlation between mandate conditions and ratio (and timing) of yearly article deposits to total yearly article output, in order to identify which mandate conditions generate more compliance (for article deposits). There was something very practical to be learnt there, in the interests of making mandates more effective. Paul Oppenheim, the philosopher of science, with his inimitable Frankfurt accent, used to say: "Zerr iss no poinTT shusst do descRRipe a messss: vun musst alzo descRRipe ze zoluzh'n!" I agree that counting the total number of generic deposits does not tell us very much (and is deceptive), especially when many research papers are placed on dark deposit and Almost-OA Button requests are ignored, or simply never reach the author. And yet the home pages of many IRs provide this generic data as though it were meaningful. I agree that counting the ratio of article deposits to total yearly output is more useful. But this too is deceptive because universities don’t know what articles their faculty produce each year, and counting the number of papers listed in the likes of Web of Knowledge does not provide all the necessary data. If you feel that counting deposits, or author compliance with Button requests (an exercise that you yourself have undertaken) is little better than numerology (the branch of knowledge that deals with the occult significance of numbers) then I would suggest that current attempts at “testing the correlation between mandate conditions and ratio (and timing) of yearly article deposits to total yearly article output” itself risks flirting with numerology, not just because it isn’t possible to calculate yearly article output with sufficient accuracy, but because there are too few mandates with the conditions you want to test currently in place and (as you say) OA rates are [too] low. I’m not saying that it is not possible to micromanage researchers to the point where you can establish and count every piece of work they ever produce (or how they spend each hour of the day even), and I am not saying that ever more onerous and autocratic mandates might not increase the number of these works that are deposited in repositories (Time will tell). But if it does prove possible, then at what cost will it have been achieved in terms of wasteful and expensive bureaucratic scrutiny, and the further proletarianisation of the research community? In terms of a solution, I would suggest that what is needed to make open access a reality is a change of culture. Whipping researchers into obedience and oppressing them with more and more rules might increase deposit numbers, but the danger is that this will work against the cultural change that is needed and make universal open access more difficult to achieve. Anyway, I realise we are not going to agree on this. So be it! Hi Richard, disagreement is always good — creative, even. I am not trying to change your mind, just openly airing points and counterpoints, in the spirit of open peer commentary. 1. I agree that the home pages of IRs that give generic overall deposit counts are doing numerology. 2. "Dark deposit" is rather ominous-sounding. The reality is that there are (i) undeposited articles, (ii) metadata-only deposits, (iii) full-text non-OA article immediate deposits (non-OA for varying intervals), (iv) full-text OA delayed-deposits and (v) full-text OA immediate-deposits. And there's the Button to supplement them. One can always describe cups as X% full or as (1-X)% empty. 3. No, to calculate yearly deposit ratios using WoS or SCOPUS to estimate total yearly deposit ratios is definitely not "deceptive": it is valid for WoS-indexed or SCOPUS-indexed output (which also happens to be the output that the OA movement is mostly about, and for), but it might be an underestimate or overestimate for non-WoS/SCOPUS output, if for some reason their ratio differs. So what? 6. I heartily agree that academics are excessively micromanaged and that evaluative metrics can and do become empty numerology as well. But I completely disagree that requiring scholars and scientists to do a few extra keystrokes per published article (5 articles per year? 5 minutes per article?) counts as excessive micro-management, any more than "publish or perish" itself does. Both are in fact close to the very core of a scholar's mission and mandate (sic) qua scholar: To conduct research and report their findings -- now updated to making it OA in the online era. Justifiable animus against excessive and intrusive micromanagement is no excuse for shooting oneself in the foot by resisting something that is is simple, takes no time, and is highly beneficial to the entire scholarly community. 7. Cultures don't change on a wish or a whim; they change when the pay-off contingencies (not necessarily financial!) change. That's how publish-or-perish worked (publication- and citation-bean-counting for employment, promotion, tenure, funding) and the online era now requires a tiny, natural extension of publish-or-perish to publish-and-deposit for eligibility for bean-counting. 8. And if we remind ourselves, just for a moment, as to why it is that scholars scull in the first place -- which is not for the sake of publication- and citation-bean-counting for employment, promotion, tenure, funding), is it not so that their findings can be built upon by all their would-be users? Hi Stevan, Thanks for engaging. I'm happy to let you have the last word.